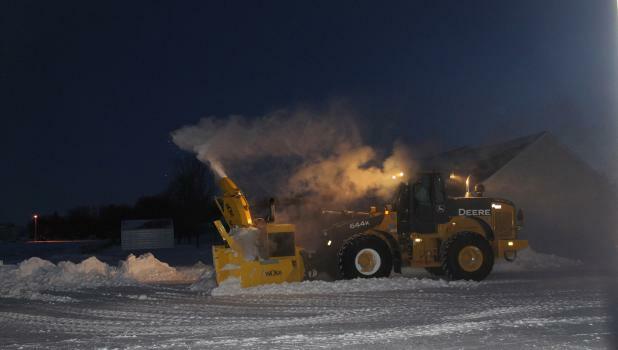 January ended on a brutal note in the Midwest as deadly Arctic cold invaded. Record lows were broken as the cold led to widespread school closures, major travel disruptions and even the suspension of mail service. The blast of arctic cold that swept through the Midwest last week brought record-shattering cold, heavy snow and howling winds that cut a broad swath through the U.S. It was the result of one of the coldest arctic air masses to hit the country in recent memory. The very dangerous and life-threatening blast of cold air was the result of a split in the polar vortex, a mass of cold air that normally stays bottled up in the Arctic. The split allowed the air to spill much farther south, than usual. Wind chills below zero smacked much of the Northern Plains and Upper Midwest on Saturday, Jan. 26, and the region braced for the coldest outbreak in 20 years. On Monday, Jan. 28, another round of arctic air brought subzero temperatures to the Midwest that lasted through Wednesday, Jan. 30. The temperature in Springfield dipped to -26 degrees on Tuesday, Jan. 29; and -27 degrees on Wednesday, Jan. 30, with wind chills of -40 to -50 degrees. The deep freeze closed schools and businesses and caused the postponement and cancellation of many events and activities. The U.S. Postal Service on Wednesday, Jan. 29, took the rare step of suspending mail delivery in many places due to the crippling cold. Some retail offices including Springfield were open, but couriers weren’t delivering mail in city or country. When the mail service stops . . . pretty much everything else stops. Springfield City Hall, the Public Library and the Community Center were all closed on Wednesday, Jan. 30 — probably the first time such a closing for about 25 years. Springfield Public and St. Raphael Schools closed Monday, Jan. 28, Tuesday, Jan. 29, and Wednesday, Jan. 30. Students went back to class on Thursday, Jan. 31 with a two-hour late start. Springfield Police Department was called to assist motorists with stalled vehicles, and those stuck in snow, but, otherwise, had few calls out of the ordinary. “Most people have respect for the extreme cold and we’re glad about that,” said Chief of Police John Nicholson. The police had several advisory calls from good Samaritans to report people out and about with inadequate clothing for the deep cold. The Chief of Police expressed appreciation for people who were looking out the welfare of others.